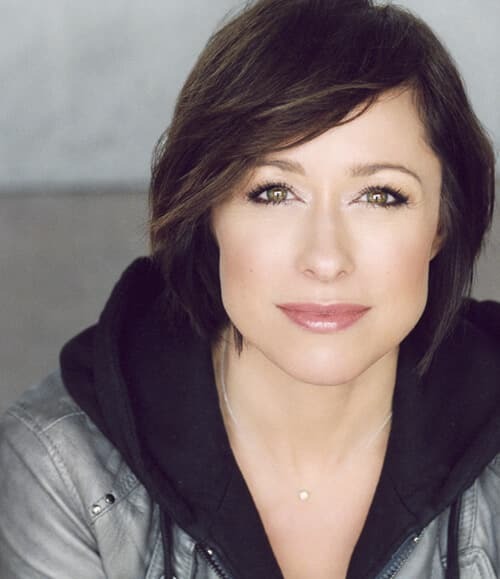 Paige Davis is one of the most versatile performers working on stage and screen today. She’s an actor-singer-host and author, perhaps best known as the effervescent star of Trading Spaces, TV’s groundbreaking, Emmy-nominated design-reality show. Paige recently co-hosted Home and Family for the Hallmark Channel and was the host of the Oprah Winfrey Network’s Home Made Simple, for which she was nominated for a 2013 Daytime Emmy for Outstanding Host in a Lifestyle/Travel Program. Her book, Paige by Paige, A Year of Trading Spaces, spent several weeks at the top of the New York Times Bestseller list. Her true love, however, is theatre and dance. Paige triumphantly returned recently to her role as Roxie Hart in Chicago on Broadway. She has also played Miss Abigail in Miss Abigail’s Guide to Dating, Mating, and Marriage at the Pittsburgh CLO Cabaret. As well, she’s played God in An Act of God directed by Marsha Mason, making Paige the first woman to play the role. She’s also very proud to have starred in the premiere of Mark St. Germain’s new play, Dancing Lessons. Paige received rave reviews for her performance in the Broadway revival of Boeing Boeing, and before that she traveled the country performing the title role of Sweet Charity in the show’s Broadway tour. In addition to starring as Roxie Hart on Broadway, she has performed in the U.S. national tour and international productions of Chicago. Before that, Paige played Babette in the first national tour of Broadway’s Beauty and the Beast, where she met her husband Patrick Page. During her first season on Trading Spaces their wedding was featured in a prime-time episode of TLC’s A Wedding Story and became one of the highest rated cable shows of the season. Paige has appeared on The Oprah Winfrey Show, The Tonight Show, The Today Show, The View, The Dr. Phil Show, The Wayne Brady Show, The Martha Stewart Show, Gameshow Marathon, and many others. Daytime viewers will remember when Oprah turned the tables on Paige, giving designer Nate Berkus free-reign to renovate and redecorate Paige’s Manhattan apartment. Paige is also in frequent demand as a celebrity spokesperson. Some of her more visible campaigns have included Enterprise Rent-A-Car, Fifth Third Bank, Millstone Coffee, Kellogg’s, Kodak, and R.C. Willey. Paige devotes much of her time to her favorite charities. She is an official spokesperson for Volunteers of America’s Operation Backpack and a frequent emcee and performer for Broadway Cares/Equity Fights Aids, among many others.